OrthoConnecticut | Joshua B. Frank, M.D. Dr. Joshua Frank specializes in the orthopedic care of sports-related injuries as well as arthroscopic and reconstructive surgery of the shoulder, elbow and knee. He also provides comprehensive orthopedic treatment for various conditions and traumatic injuries. A native of the Philadelphia region, Dr. Frank completed both his undergraduate studies and his medical school training at the University of Pennsylvania. After medical school, Dr. Frank moved to New York City to complete a residency in Orthopedic Surgery at New York University – Hospital for Joint Diseases. During his residency he was elected to be an executive chief resident and completed an elective trauma rotation at Harborview Medical Center in Seattle, Washington. There he handled major orthopedic injuries and learned the latest techniques in the treatment of fractures and multi-trauma. After residency, Dr. Frank completed a fellowship in Sports Medicine at the renowned Kerlan-Jobe Orthopedic Clinic in Los Angeles, California. His focus was on the care of injured athletes and their return to function. Additionally, he learned advanced arthroscopic techniques as well as open reconstructive surgeries of the shoulder, knee and elbow. During his fellowship, Dr. Frank participated in the orthopedic care of the Los Angeles Lakers, Dodgers, Kings, Avengers (Arena Football), Sparks (WNBA), Galaxy (MLS), Riptide (Lacrosse), USC Football, and the Anaheim Ducks. In addition, he served as a team physician for many high school and college football teams. Throughout his training, Dr. Frank has had a focus on research. He has published articles in peer-reviewed journals and presented research at national meetings. 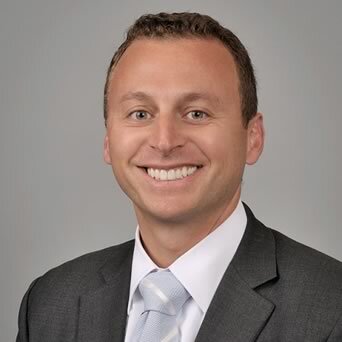 Dr. Frank is a member of the American Academy of Orthopedic Surgery, the American Orthopedic Society for Sports Medicine, and maintains an academic appointment at NYU-HJD as an assistant clinical professor. For more information on Dr. Frank and articles on orthopedic and sports medicine, please visit Dr. Frank’s website.